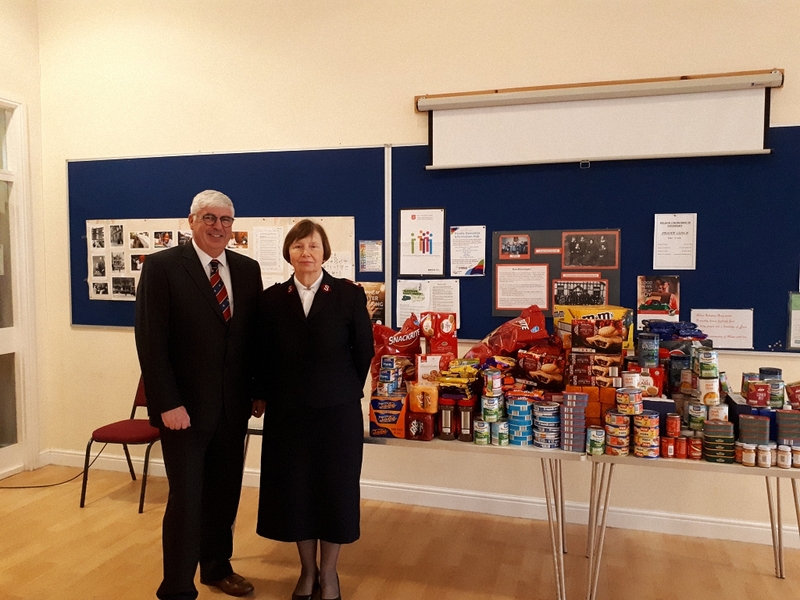 Food to the value of £250 was delivered to the Salvation Army Citadel at Nelson on Tuesday 27thNovember, courtesy of the Burnley and Pendle District Freemasons. The food will be used to make up parcels for those who may be struggling to make ends meet this Christmas. Major Carole Ainsworth of the Salvation Army said, “there are many people in our area, most of whom are small children, who will benefit from the donation this Christmas”. Said Mark Barlow “Burnley and Pendle District Freemasons have also Donated £250 to the Burnley Citadel, this brings the Total to £1500 over the last 3 years”.